As a bonus for going to the beautiful wedding of close friends, I got to visit the King Arthur Flour store. That store is so dangerous for me. But, I did walk out relatively unscathed. I bought a one-pound bag of cinnamon chips, because it has been driving me crazy that I can't find them (the supermarket sells cinnamon chip muffins, but not cinnamon chips--so where do they get their cinnamon chips????). I also bought a CD with the first ten years of the Baking Sheet--King Arthur's newsletter--on it in PDF format. Upon returning home, I had some distinct emotions. The first was travel-weariness. In the last six weeks, we have traveled to Chicago, Florida, and Vermont. All with an infant. Not easy. I am standing firm that I am not leaving for an overnight trip until Thanksgiving. The other emotion was excitement for fall. Fall has already come to Vermont, it seems. New Hampshire is lagging behind. And then, as excitement for fall almost always translates for me, I was ready to bake. 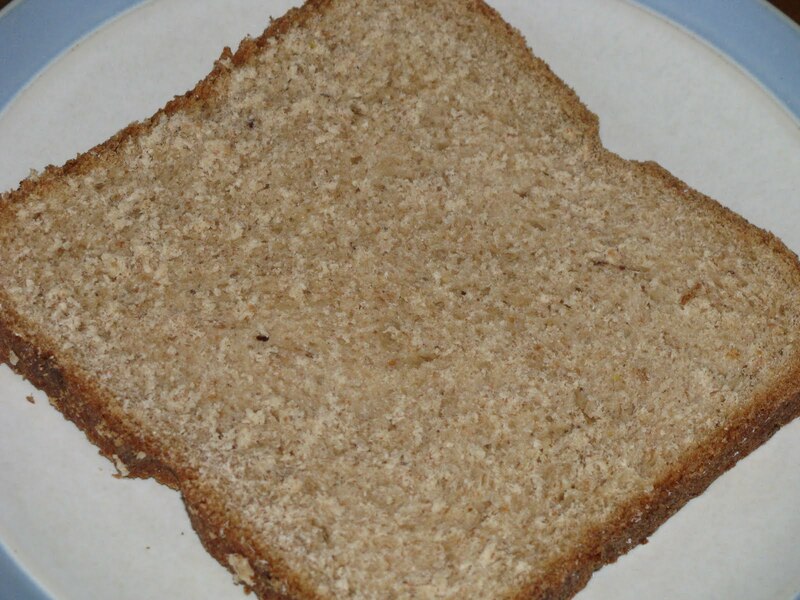 So, I opened up my new CD and found a recipe for a bread machine bread that would work well for peanut butter and jelly sandwiches. Kurt starts a new job tomorrow, and we don't know what the lunch situation will be--if there will be a fridge, a mircowave, etc. So, a sandwich is a safe bet. And a sandwich on homemade bread is just that much better. I found a recipe for "Squaw Bread" that looked very interesting, if a bit derogatory. I mean, who uses the term "squaw" anymore? In any case, the recipe looked good, and I decided to try it. The results were excellent. The whole grain flavor doesn't overpower the whole loaf. Instead, it lends a sweetness to the soft, chewy bread. It was just perfect under a schmear of cream cheese for breakfast this morning. In a blender, blend buttermilk through brown sugar. Put this mixture into bread machine, followed by the rest of the ingredients. Bake on basic or white bread program, with light crust setting. I submitted this post to the BYOB monthly round-up. 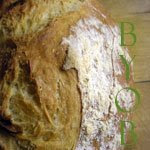 You can see what the other BYOB bakers were making in September by clicking here. What a great idea! This bread sounds like a delicious sandwich bread. Thanks for including the cost analysis. That's always helpful information to have.